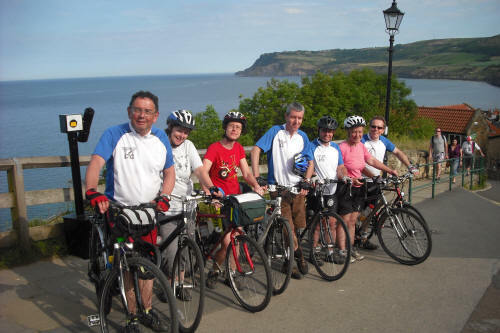 Saturday rides provide easy rides of a little longer distance than the Wednesday evenings – suitable for members wishing to progress or for those who cannot make mid-week rides. Covering distances usually between 15 and 20 miles, many will use traffic free paths and canals etc. 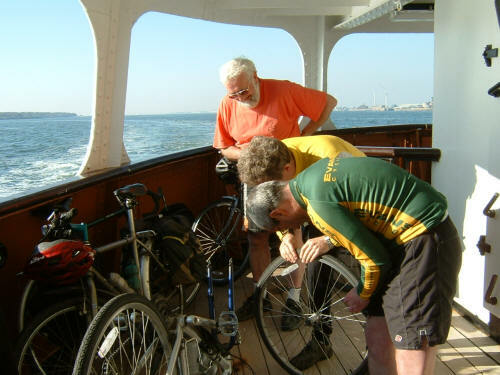 Most rides are suitable for mountain bikes, hybrids and road bikes with suitable tyres. Members with pure road bikes with “skinny” tyres may find some of the rides a little difficult. Saturday 13th April- Wilmslow Circular – Meet at Premier Inn, Heald Green – next to Heald Green Station at 10am. A return of the popular ride from last year. Tracks and lanes in and around Wilmslow on this ride. Distance about 18 miles. Leaders Andy and Sarah Pennell. Saturday 27th April- Crime Lake – Meet at Portland Basin , Ashton under Lyne at 10am. A regular ride around the Northern roads. A steady climb then a sharp climb to the highest point descending steadily to coffee at Oldham. Return via Crime Lake and Daisy Nook.Distance about 15 miles. Leaders Jim and Tracey. 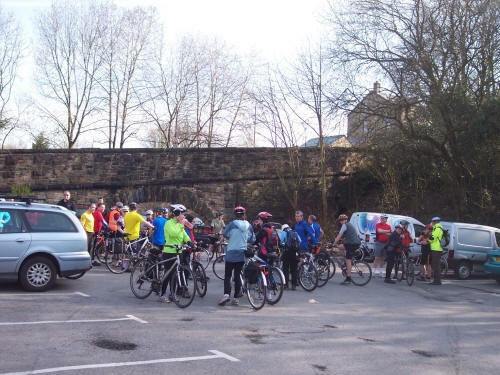 Saturday 4th May- Etherow Lake Afternoon ride – Meet at Woodley Precinct at 2pm. A new afternoon ride along the canal to Marple then down through Brabyns Park to Etherow for coffee. Return on slightly different route. Distance about 10 miles Leaders Jim and John. 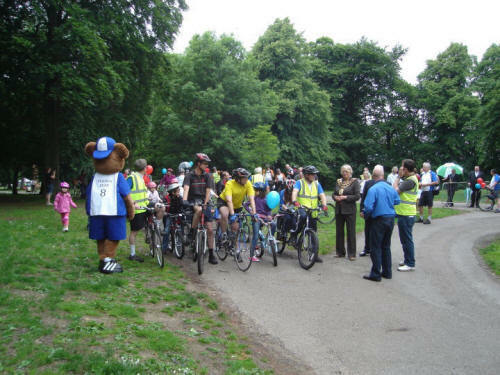 Saturday 11th May- Annual General Meeting followed by ride to Portland Basin. – Annual General Meeting at the Community Room of Bredbury Library at 10am. After the meeting we will have a shorter ride to Portland Basin for coffee.Distance about 12 miles Leaders Andy Shaw and Sarah. 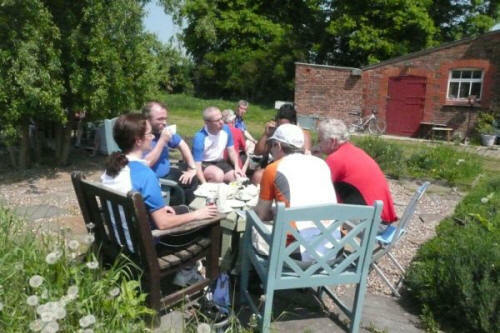 Saturday 25th May – Halls Route – Meet outside Ceracycloan , Swallow Street, off Hillgate at 10am.. A regular ride around Stockport, taking in several old Halls along the way. Distance about 20 miles. Leaders John and Andy Sykes. CERACYCLOAN/SCCC Easy Saturday Morning rides. Running from March to October, Ceracycloan and SCCC will provide Saturday morning rides for novice riders, unfit riders and those who feel then normal distances are too long. Each Group will provide Leaders on alternate weeks except for Bank Holidays. The rides will start at 10am with instruction on how to do a cycle check . This will be followed by a ride of about an hour (distance probably not more than 6 miles) in the local area. All rides will be at the pace of the slowest with experienced leaders. Cycles (including a small number of electric bikes) are available for loan (subject to depositing an item of security ). The morning will end with a cuppa and a chat – time to ask questions. The morning should end by noon. In the event of inclement weather, a number of indoor activities will be available. These may include instruction on cycle maintenance or time to fettle your own machine. Any changes and more precise details of start locations are sent out in the Weekly Newsletter.